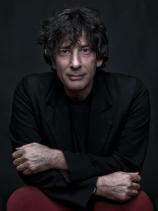 An inquisitive observer, thoughtful commentator and assiduous craftsman, Neil Gaiman has long been celebrated for the sharp intellect and startling imagination that informs his bestselling fiction. Now, THE VIEW FROM THE CHEAP SEATS brings together for the first time ever more than 60 pieces of his outstanding nonfiction. Analytical yet playful, erudite yet accessible, this cornucopia explores a broad range of interests and topics --- offering a glimpse into the head and heart of one of the most acclaimed, beloved and influential artists of our time. Neil Gaiman has long been inspired by ancient mythology in creating the fantastical realms of his fiction. Now he turns his attention back to the source, presenting a bravura rendition of the great northern tales. In NORSE MYTHOLOGY, Gaiman stays true to the myths in envisioning the major Norse pantheon: Odin, the highest of the high, wise, daring and cunning; Thor, Odin’s son, incredibly strong yet not the wisest of gods; and Loki --- son of a giant --- blood brother to Odin and a trickster and unsurpassable manipulator. Gaiman fashions these primeval stories into a novelistic arc that begins with the genesis of the legendary nine worlds and delves into the exploits of deities, dwarfs and giants. In this new anthology, Neil Gaiman pierces the veil of reality to reveal the enigmatic, shadowy world that lies beneath. TRIGGER WARNING includes previously published pieces of short fiction --- stories, verse, and a very special "Doctor Who" story that was written for the 50th anniversary of the beloved series in 2013 --- as well as “Black Dog,” a new tale that revisits the world of AMERICAN GODS, exclusive to this collection. Once upon a time in a rural English town, an 11-year-old girl named Lettie Hempstock shows a little boy the most marvelous, dangerous and outrageous things beyond his darkest imagination. But an ancient power has been disturbed, and now invasive creatures from beyond the known world are set loose. There is primal horror here, and menace unleashed --- within the boy's family and from the forces that have gathered to consume it. Distraughtby the kidnapping and presumed death of her son, and believing Morpheus to be responsible, Lyta Hall calls the ancient wrath of the Furies down upon him. Improbably caught in a June blizzard, two wayward compatriots stumble upon a mysterious inn and learn that they are in the middle of a "reality storm." The fantastical epic of Morpheus, the King of Dreams, continues as he observes and interacts with an odd assortment of historical and fictional characters throughout time. Take an apartment house, add in a drag queen, a lesbian couple, some talking animals, a talking severed head, a confused heroine and the deadly Cuckoo. Stir vigorously with a hurricane and Morpheus himself and you get this fifth installment of the SANDMAN series. An occultist attempting to capture Death to bargain for eternal life traps her younger brother Dream instead. The third book of the Sandman collection is a series of four short comic book stories. In each of these otherwise unrelated stories, Morpheus serves only as a minor character. During Morpheus's incarceration, three dreams escaped the Dreaming and are now loose in the waking world. Nobody Owens, known to his friends as Bod, is a normal boy. He would be completely normal if he didn't live in a sprawling graveyard, being raised and educated by ghosts, with a solitary guardian who belongs to neither the world of the living nor of the dead. There are dangers and adventures in the graveyard for a boy. But if Bod leaves the graveyard, then he will come under attack from the man Jack --- who has already killed Bod's family . . .
Mythology and modern times collide again in this masterpiece from Neil Gaiman. This follow-up to American Gods is equal parts humorous, terrifying, adventurous, and epic in the standard mythological style --- but it is also an intimate story about the beauty, and danger, of family. In the English countryside at the dawn of the Victorian era lies a secluded hamlet called Wall. But every nine years, the leisurely pace of life is interrupted, as the mortal and magical meet for a market fair like no other. It is here that Tristan Thorn loses his heart to the town beauty. To gain her hand, Tristan rashly vows to fetch a fallen star --- and embarks on a quest that will carry him into a world beyond his wildest dreams.